Enjoy Yourself! In one of the world famous block game with candy blocks. In tetrimino candy block is a classic block game of dropping candy blocks. In this block puzzle mania make sure to make a horizontal line with candy tetri falling down from above. 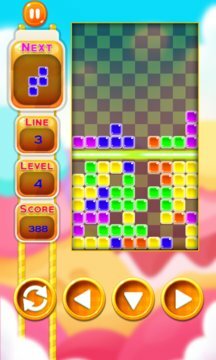 Block puzzle games has never been so fun to play but with candy tetrimino you can enjoy it forever. The game play is very simple, all you have to do is to control the candy blocks falling from above and make a horizontal line of tetrimino to earn points and move on to the next level. This is simple one of the best mind challenging game and interesting and delicious too because of candy blocks. 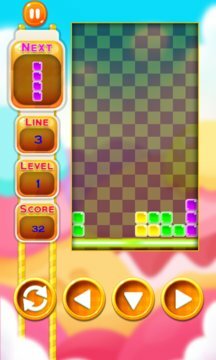 Enjoy classic block puzzle game of tetrimino candy blocks for free!